For most Fresno Foxes fans, the game day experience begins well before kickoff. 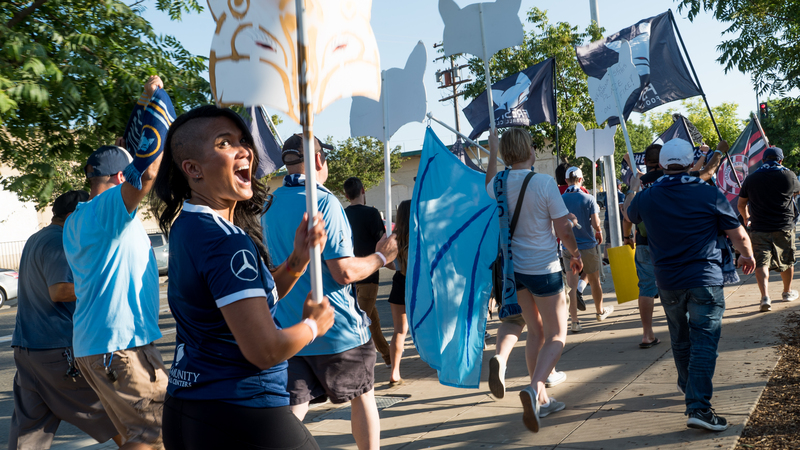 Cheering on the city’s first ever professional soccer team involves so much more than showing up to Chukchansi Park. Fans of all ages converge upon downtown Fresno decked out in Foxes gear, ready to do all of the Fire Squad chants and root on the team until the game is over. 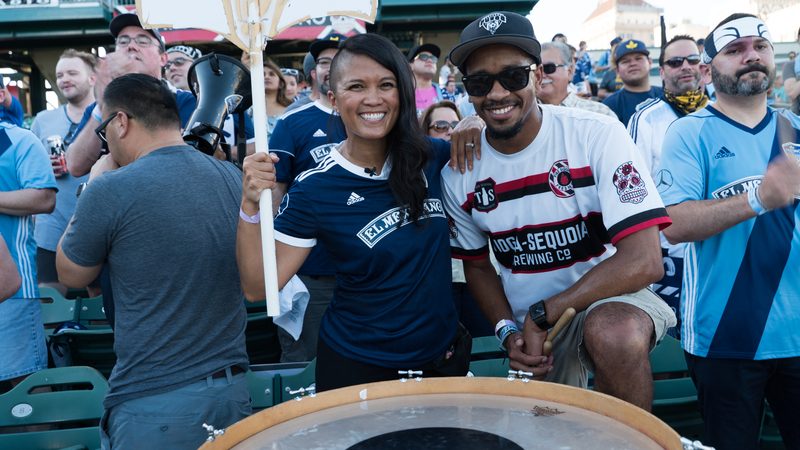 When the Foxes are at home, Tioga-Sequoia Brewery’s downtown location transforms into the Foxes Den, the official pre-game destination. There’s plenty for fans of all ages to do there, and of course, plenty to eat and drink. But perhaps the best part is being among other soccer fans who are just as excited to see the team win. The Foxes’ most dedicated group of supporters adds to the excitement and gets fans even more pumped up to see the Zorros in action. They’re known as the Fire Squad, and they come prepared with drums, a loudspeaker and enough signs to share. The squad makes their way to Chukchansi Park in style, singing and chanting every step of the way. And their operation is so legit that they even have their own designated cheer section! The real magic doesn’t happen until the Foxes make their way onto the field. There’s something to be said about the power of a team that’s able to unite this city. For their inaugural season, the Foxes are in the middle of the pack and have a potential playoff berth. 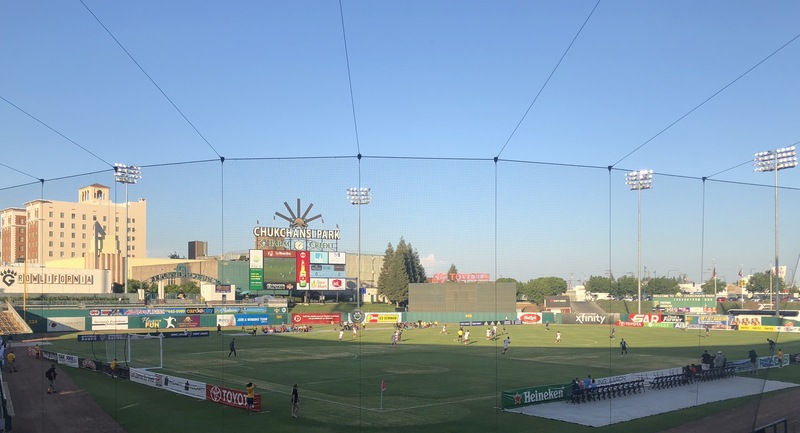 If you haven’t had the opportunity to experience a Foxes home game yet, don’t miss out on a big piece of Fresno history: there are only 5 more left this season. Don’t forget your Foxes swag … and prepare yourself for the celebratory smoke bombs! 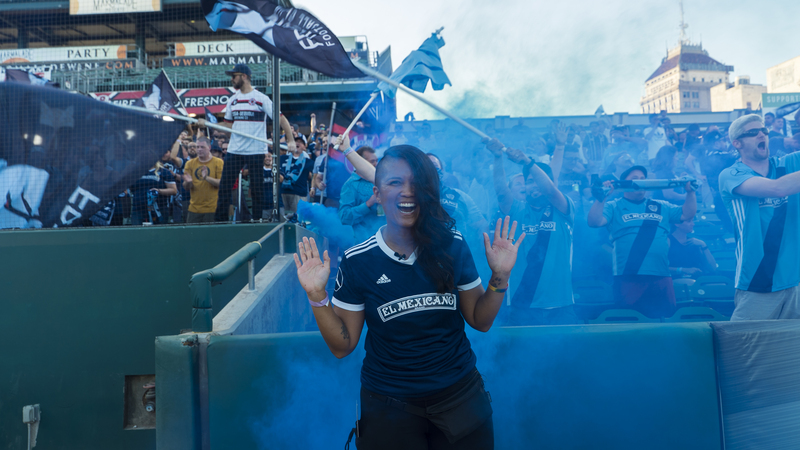 Visit Los Zorros’ page for tickets to the next match!